Hello! My name is Phil. 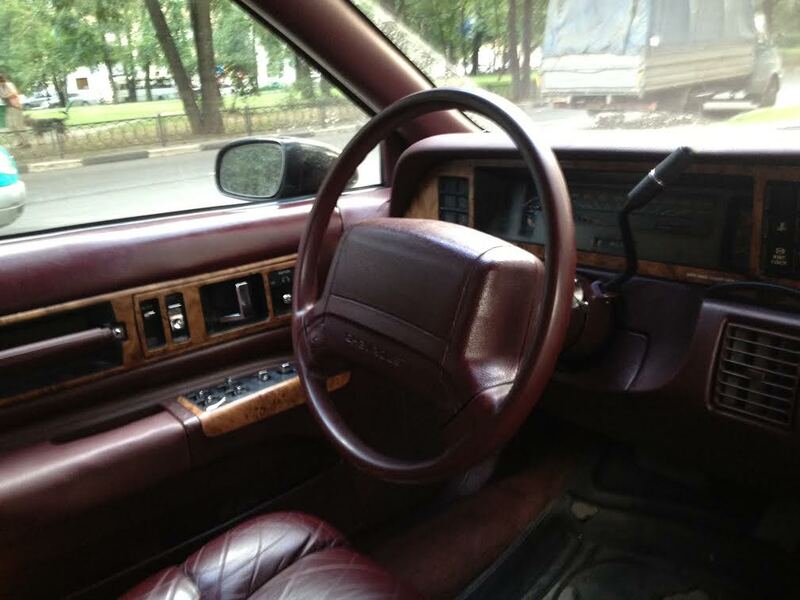 I'm from Moscow, Russia and since 2012 I own a 1993 Caprice Classic that I use for everyday riding. I thought it would be nice to meet some more people with same interests at the international level so I will be glad for any opportunity to connect with new friends here and share with them the joy and sorrow of the Caprice owning. To buy some rare interior parts for the car will be a good idea too if it is possible. Why not? What else to add? I love travelling, reading and social networking. I don't have any interior parts for your '93, but would you like to trade Presidents? You've found the best place to get good information and find parts for your car. I've had endless help from the knowledgeable people here. Some good advice is read the "stickies" in the beginning of each section. You'll be amazed how much great information is there. Hello! Thank you! ill do my best and explore the different parts of the forum as soon as I return home to my desktop pc later. It would be great to ask some questions but as you mention above I'll try to browse the forum first. Welcome on board, Phil! Glad to have you here. Sounds like you have a beautiful ride, show it to us when you have a chance. Forum like this is the best way to make new friends and learn something new about a passion that runs deep. Enjoy your time here! Thank you. Well, I think I am able to attach a few photos finally to this post. I appreciate all the help and the attention I already receive from you in personal messages section and here. Is that a Michigan License plate I see I the middle picture? Is that where the car came from? Hi, Mike! It's nice to meet you here as well. All the stuff from your ebay store (especially moldings) was a great addition to the process of making my car to look well. As for the license plate - unforunately, no. I bought the car with Virginia license plate more than 3 years ago and even the one from Virginia is not original. Several months ago I've just changed it to Michinan one. Well the car is looking very good. If you need any parts for it feel free to ask and I will do every thing in my power to help you out. Thank you, Mike. Definitely, I will continue to browse your store and it will be great to develop further our collaboration. Hello again. How are you? I know that it's not the right forum segment to post a request about the parts I need, but since I'm still a newcomer here and the sum of my messages is really low, it's the only place I can do it. I'm really looking for both Ruby Red front door panels for my Caprice *93 in fine condition. If anyone can help me - I would appreciate that. Please, message me.